Yesterday was a very long, intense and quite surreal day. I can't even elaborate on that, because really it isn't my story to tell. So I guess you'll just have to take my word on it. Don't get me wrong though, it turned out good in the end. In my opinion at least. But it was still pretty draining. Today I had a nice lie in. I needed it after the busy weekend, not to mention the fact I had stayed up until almost 4am reading. I've started reading this series of books I found on Amazon. It's about wounded ex-military guys who start up a investigative/security firm. 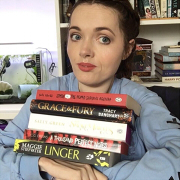 I've been quite interested in reading books that involve characters with disabilities and such lately, I guess I find it quite interesting reading how different authors approach disability, people with disability and the other characters around them. I particularly like this series also, because it involves ex-military guys. A little known fact is that as a kid, I wanted to join the army. Anyway, on with today! I had left over Dominos for breakfast and watched some television with my sister. 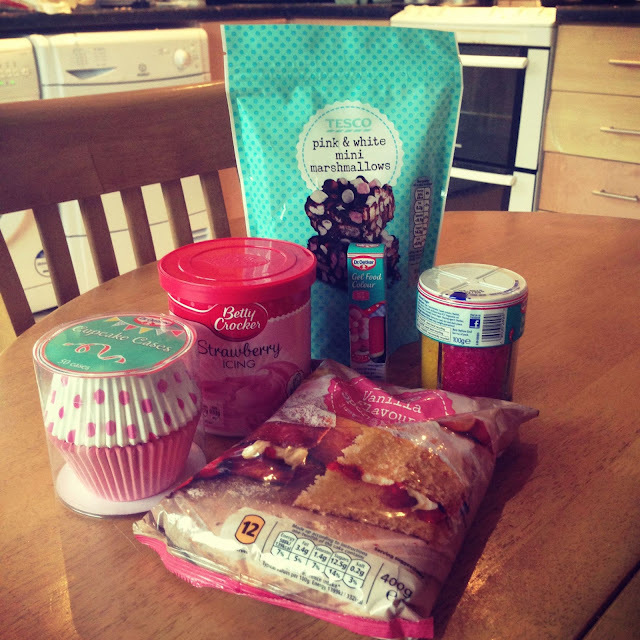 After we decided to bake some cupcakes. 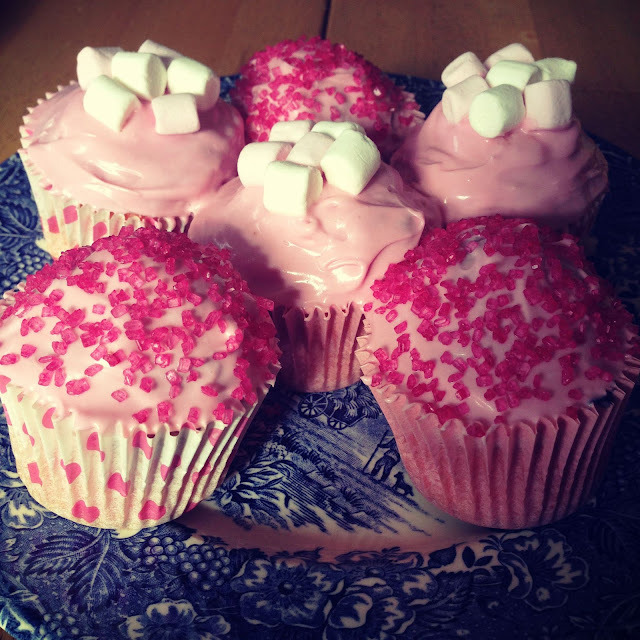 We had meant to make them for my granny for Mother's Day (well, and my mum but she doesn't really like them), but we didn't have time. 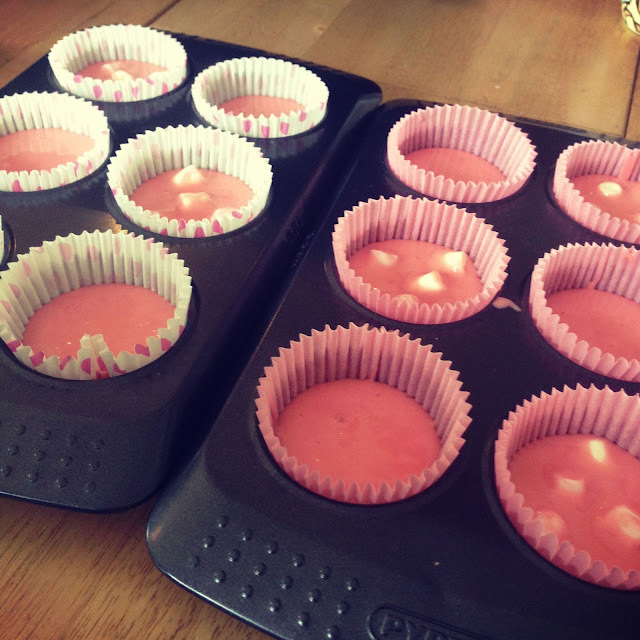 I love baking. I don't really get to cook or anything because our kitchen isn't accessible, so I love when my sister and I bake together. I took some photos documenting the fun! 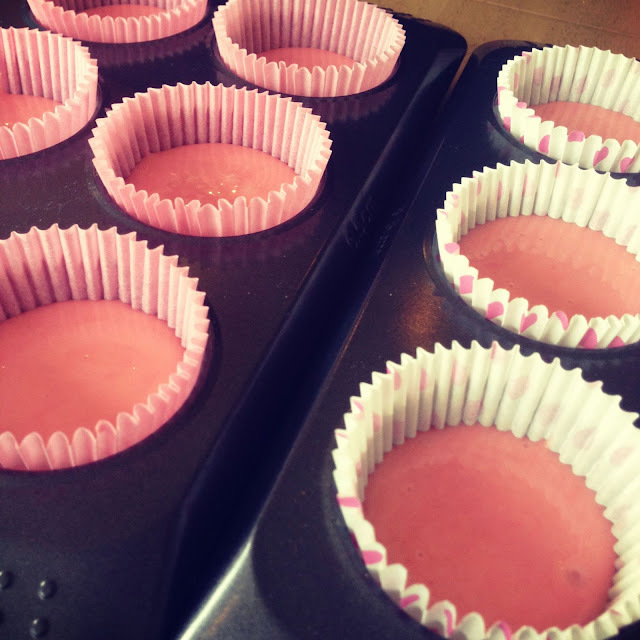 Yeah, we kind of cheated by using a premade cake mix. 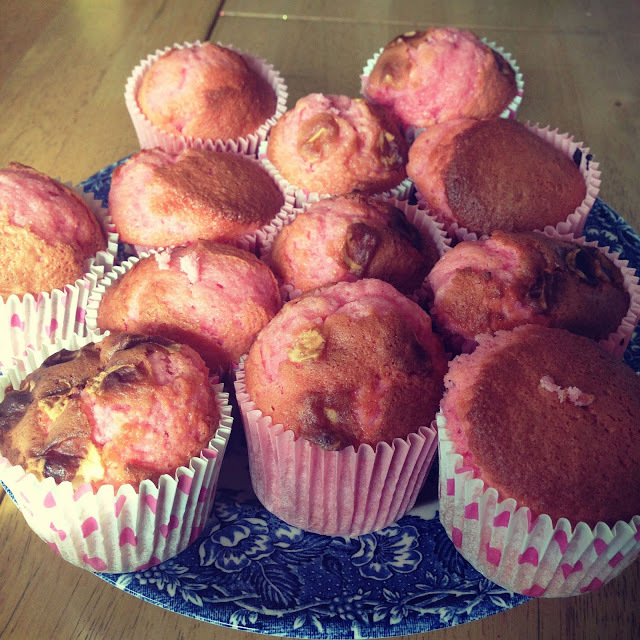 I have to say, they were super tasty. 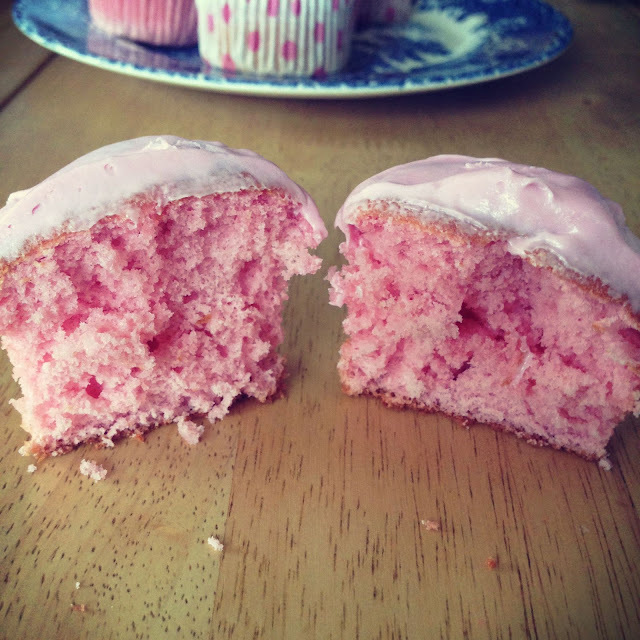 Even my cat Effy thought so, after she licked some of the icing of two of them. Darn cats. At least a dog would have the decency to actually finish it, rather than make it uneatable. Anyway, after that I decided to enjoy a little bit of retail therapy. I really loved those tinned candles from the other night and decided to have a little look on the website where my cousin bought us them for Christmas. 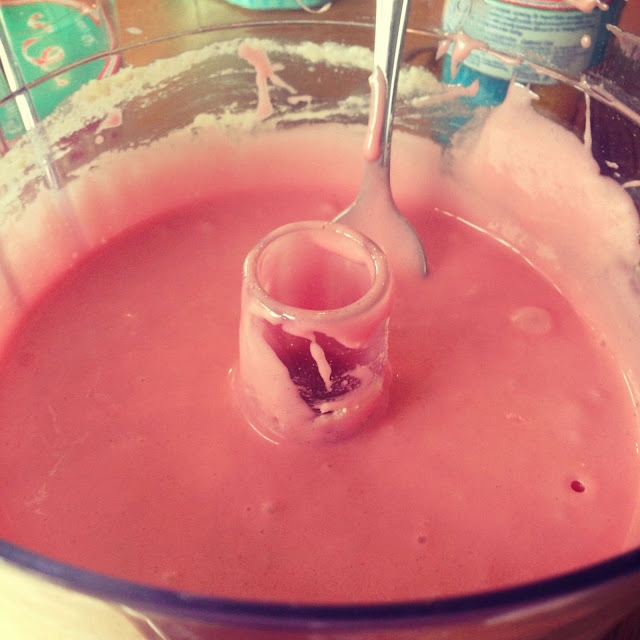 They don't just make candles, they make handmade and natural soaps, bath melts, body scrubs, lotions etc. My cousin also got me a body butter which I love, and some bath melts I gave to my sister because I shower. Their stuff is really lovely, and I love that they're handmade and natural, and their products, nor the ingredients are tested on animals. So yeah, I ended up treating myself to a few things. 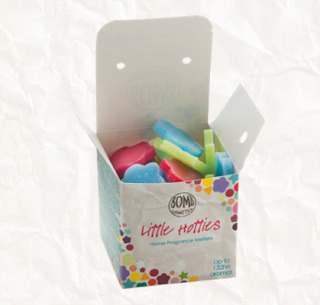 Little Hottie Wax Melts for the oil burner. I got Tropical Fruit Smoothie. 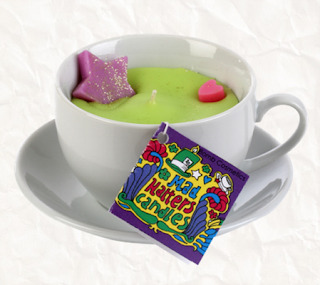 Goodness Gracious Green Mad Hatters Tea Candle. I was mostly sold on the fact it's in a tea cup. 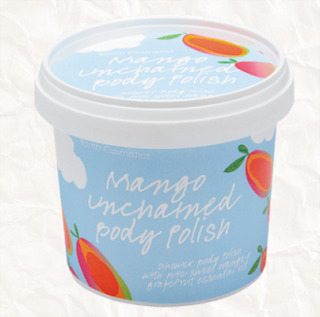 And Mango Unchained Body Polish. 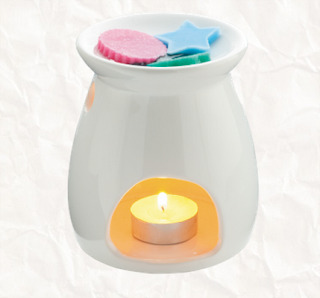 I also bought some tea light candles for the oil burner. I was supposed to go out this weekend with my sister, but I might have to skip it. I've been spending a lot lately. I just thought having some nice candles or smelly stuff might help me relax and such since things have been a little intense lately. Plus, it's just generally nice to treat yourself. My new years resolution was 'do more stuff' and that included spending more money and treating myself and the people around me more.. I mean it's nice having money and all, but you can't take it with you. Still, I'm going to have to be sensible if there's a chance I'll have to furnish a house at any point! I just needed something good today and it's hard to beat cupcakes and treating yourself to nice things. The tea cups look cool. I'll have to get some for sure.